A victim's body lies covered on Boulevard des Filles du Calvaire in Paris. Victim of the Paris terror attack. 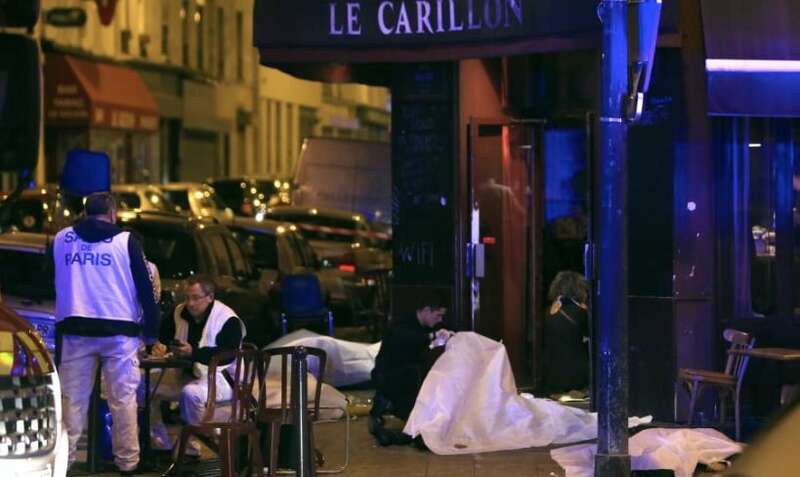 Victims on Boulevard des Filles du Calvaire are treated by paramedics. 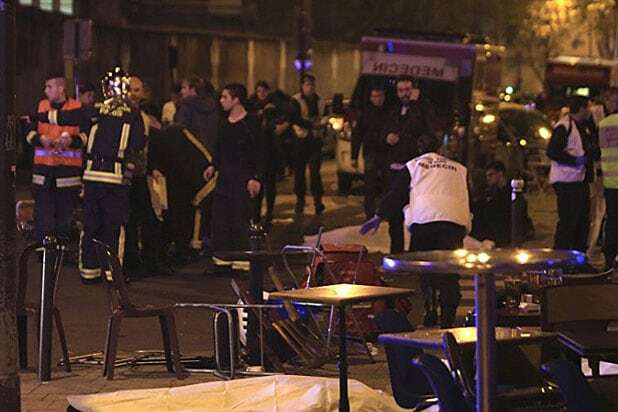 Medics evacuate an injured person on Boulevard des Filles du Calvaire in Paris. 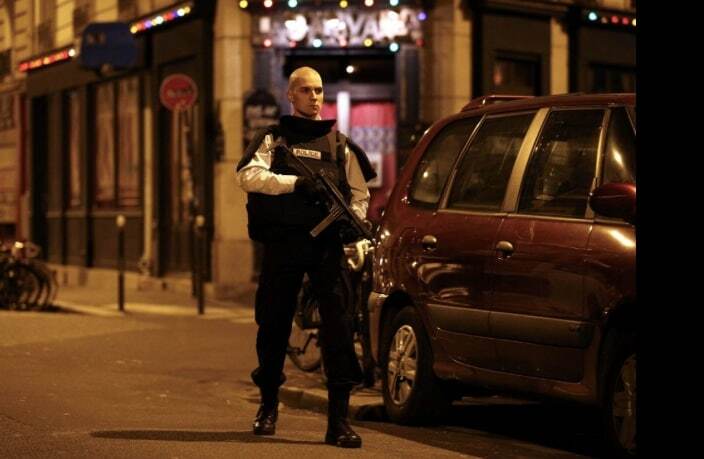 Military police patrol the streets in the aftermath of the attacks. Military police search pedestrians in Republique Square.